I am searching for a fascinating story I once read about a member of an social insectoid race. He is sent by his queen to make first contact with the strange humans and serve as liason. He learns to see and understand beyond his race's limits. He tries to warn his queen about the dangers, but before he can deliver the message he gets killed because he is seen as invested/impure and served its purpose. The humans in the story, a man and a woman are not hostile towards their comrade. They seek their advantage but try to understand their guest. In the end it is humanity's adaptability and competitiveness that is the threat and not any violent behaviour. As far as I remember it was a paper back from the 80s or the early 90s. I am actually reading this book right now. 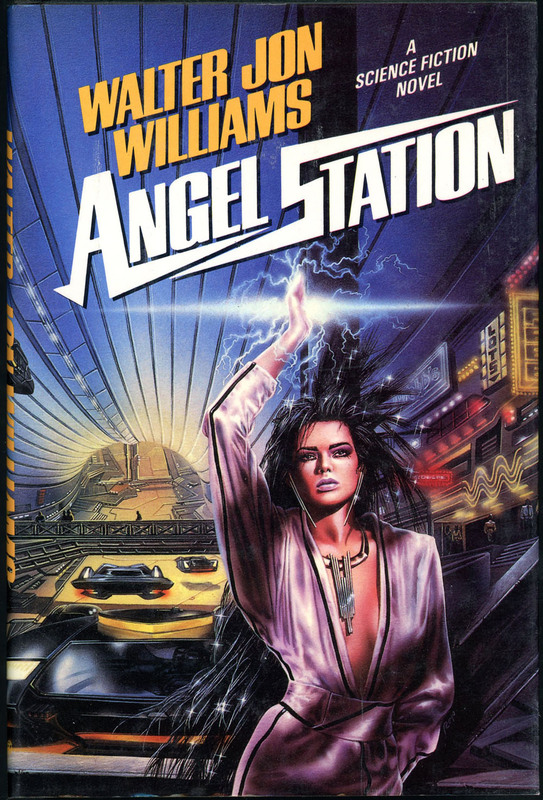 It is Angel Station (1990) by Walter Jon Williams. The two young human protagonists, Ubu Roy and Beatiful Maria, own and run a transport spaceship, the Runaway. Being down on their luck, they try to run from debt that would mean losing their ship, and they end up in a star system outside human-explored space. There, they run into an alien spaceship and starts trading computers for expensive pharmaceuticals (which the alien insect queen can metabolize). On their return to human space, they bring obne of the insectoids, Volitional Twelve, who is shocked by his experience with human culture. This is as far as I've come, but I suspected that it would end as you describe (Twelve worries about being dissolved for having become impure). It is a quite decent novels, but not one of Williams' very best. Then again, even his mediocre novels tend to be very readworthy. Name of short story told from perspective of mechanical alien?